Dr. Clair Francomano received her M.D. from Johns Hopkins University School of Medicine and completed her training in Internal Medicine and Medical Genetics at Johns Hopkins. 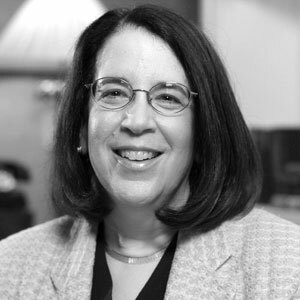 After serving on the full time faculty at Johns Hopkins and in the Intramural Research Program of the NIH, she joined the Greater Baltimore Medical Center in 2005 as Director of Adult Genetics at the Harvey Institute of Human Genetics. Dr. Francomano has been involved in the care of patients with Ehlers-Danlos syndrome throughout her career. She is currently the Director of The Ehlers-Danlos Society Center for Clinical Care and Research at the Harvey Institute of Human Genetics, Greater Baltimore Medical Center.